The City Veneta is a fresh take on the iconic Veneta hobo. Introduced in the Cruise 2019 presentation, the bag is crafted from calf leather that has been specially treated to create a metallic hue and grainy texture. 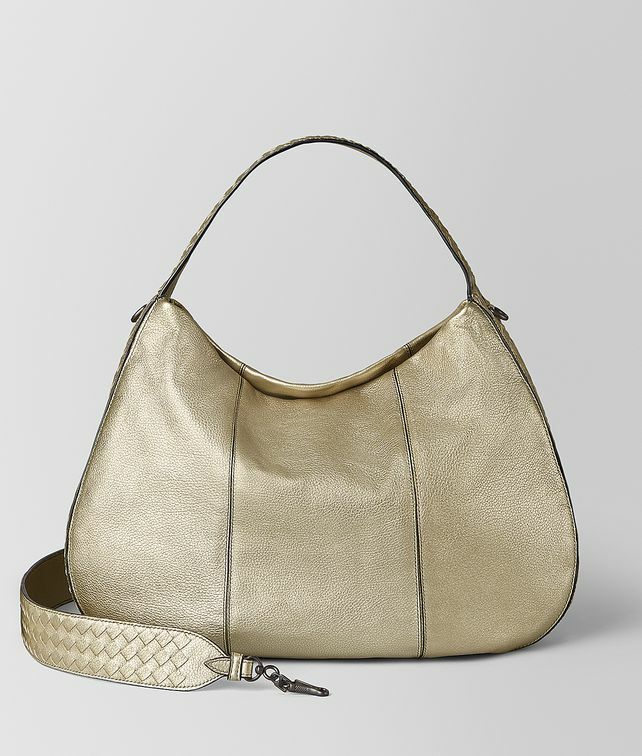 The soft, slouchy style is accented with woven intrecciato along with side edge and strap. The bag also features a removable intrecciato shoulder strap that when converted, changes the City Veneta from a comfortable shoulder length to a hands-free, messenger style bag. Height: 35 cm | 13.8"
Width: 50 cm | 19.7"
Depth: 10 cm | 3.9"
Strap length: 60 cm | 23.6"